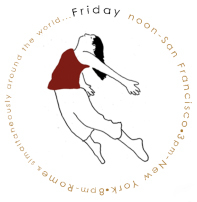 Marika Brussel is a San Francisco-based choreographer and teacher. Her ballets are classically based and often use stories. Her work has been performed at Z Space, ODC Theater, and Kunst-Stoff in San Francisco. Upcoming shows include Bush of Ghosts at ODC, and Spider's Web, commissioned by Bay Pointe Ballet. Marika was raised in New York City, where she studied on scholarship at Joffrey Ballet. She performed professionally around the country in companies including Ballet Theater of New Mexico and Napoles Ballet Theatre.